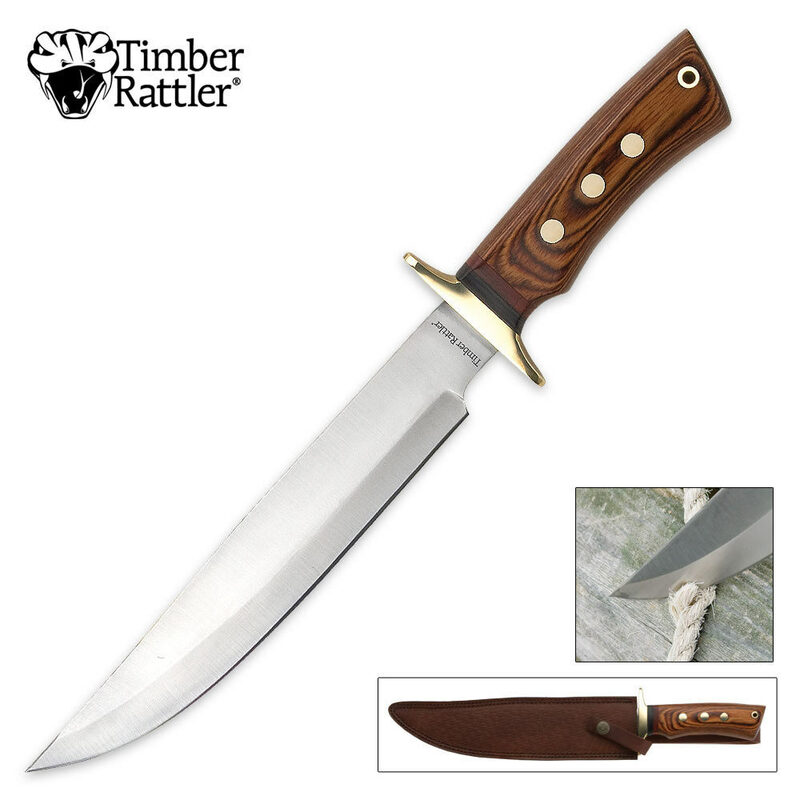 Timber Rattler Brown Wood Bowie Knife | BUDK.com - Knives & Swords At The Lowest Prices! Considering the cost of the knife, I wasn't really expecting too much; but when I actually held the knife in my hands, looked at it and examined it, I was really surprised with the workmanship, the weight, and the feel. This is truly a fine piece of work. Thank you for the excellent product you offer, and and such reasonable prices!